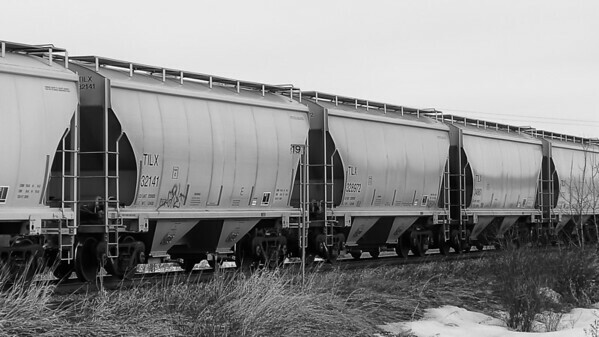 094 Apr 4/13 Last night while travelling home we got lucky at the tracks and our truck was first up at the crossing when this train passed. You took good advantage of a serendipitous occurrence. Just going by rolling stock I see on freights moving through AA, I'm surprised how little graffiti is painted on these cars. I like this in BW.